The 10th installment of the London gallery’s exhibition series on experimental and prototypical design turns its focus on the architectural process—in particular, how physical models are critical to a design’s development. More than 10 participating practices, including Adjaye Associates, dRMM, and PUP Architects, present a mix of models, studies, and prototype elements that aid in exploring ideas and evoking space. 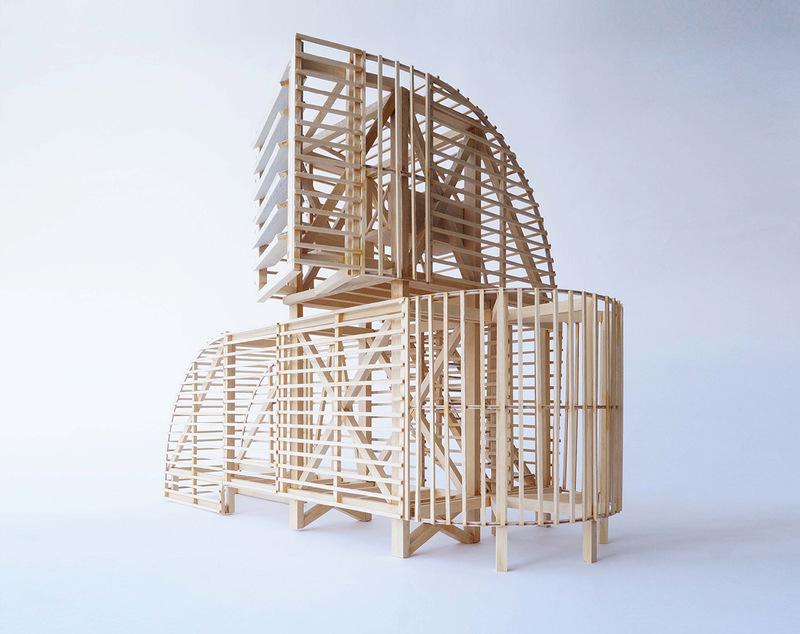 PUP Architects, H-VAC Antepavilion structural model (2017). Photo: Courtesy of PUP Architects.